Conaway Motors is well versed in the process of car service in Lynnwood. Car service encompasses those very ordinary things that delay and sometimes even prevent major repairs. Car service includes things like annual inspection, checking and changing the oil, transmission fluid and coolant, as well as topping up power steering fluid and brake fluid – if they are needed in your vehicle. Conaway Motors is well versed in the process of car service in Lynnwood, just give us a call at (425)905-2424 if your vehicle needs a check-up. We have the knowledge and the equipment. 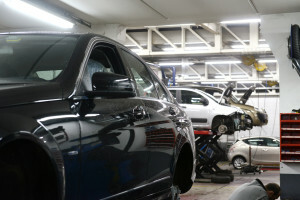 We will discuss any unusual findings with you before we do any repairs. We are the auto repair company that believes that honesty should not be left by the road. We all have budgets – we will do our best to help you keep your vehicle within the bounds of its budgetary share.